Of the many important figures in the development of the Scottish labour movement, the contributions of Harry McShane (1891-1988) are especially noteworthy. McShane’s length of activity in the movement is in itself extraordinary, covering eight full decades in which he bequeathed a legacy of passionate dedication to the cause of workers’ self-emancipation. His career as working class militant began as far back as 1908, when he participated in the mass demonstrations against unemployment in Glasgow, extended to his association with John MacLean as a member of the “Tramp Trust Unlimited” in the years following World War I, and continued in his work of organizing the unemployed and hunger marches of the 1920s and 1930s. Already known as one of the “last of the Red Clydesiders” by the time a New Left emerged in Britain in the mid-1950s, McShane remained a firmly committed activist who participated in an array of labour, civil rights, [p. 6] and anti-war activities from the 1950s right up until his death in 1988. His energy, devotion, and length of service to the cause of workers’ self-emancipation has earned him an important place in the annals of Scottish labour history. Nevertheless, one of the most important dimensions of the life and work of Harry McShane remains largely unknown – his involvement in the effort to work out a restatement of the Humanist dimension of Marxism following his break with the Communist Party in the 1950s. Though his participation in a number of political activities from the 1950s to the 1980s is well-known, few have paid significant attention to McShane’s commitment in those years to an open, critical Marxism centered on a humanist interpretation of Marx’s works initiated by the American philosopher Raya Dunayevskaya. 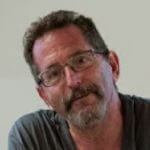 Even fewer are aware of how McShane’s commitment to Marxist-Humanism involved him in a unique effort to break out of the confining separation of worker from intellectual and theory from practice that has long characterized the radical movement. And yet as McShane never tired of repeating, his “rebirth” (as he put it in a letter of 1980) as a Marxist-Humanist in the late 1950s imparted a new dimension to his subsequent activities that give his proletarian militancy new meaning. This dimension of McShane’s life and work has taken on particular importance in light of today’s realities. The collapse of Communism and indeed of established Marxism as a whole in both East and Est has clearly revealed the limitations of conventional approaches to Marxism. At the same time, these and other recent events have raised anew the question as to whether there remain still-undiscovered dimensions within the radical tradition which can assist the working out of alternative paths to liberation. Given this situation, Harry McShane’s three-decade long involvement in an effort to work out a new relation of theory to practice based on the humanist dimension of Marx’s thought is well worth re-examining today. An opportunity for achieving this is now provided with the recently donated Archives collection, “The Harry McShane Collection, 1959-1988: Scottish Marxist-Humanism’s Development in Dialogue with Raya Dunayevskaya”. On deposit at The National Museum of Labour History in Manchester, this collection contains an array of writings by and about McShane, including 53 issues of The Scottish Marxist-Humanist, [p. 7] a journal edited by McShane from 1962-76, and some 200 pieces written by him for the American Marxist-Humanist paper News & Letters. The core of the Collection consists of 190 letters exchanged from 1959 to 1983 between McShane and Raya Dunayevskaya, the founder of Marxist-Humanism in the U.S. Virtually all of these letters are made available to the public for the first time. Because McShane’s correspondence with Dunayevskaya contains a wealth of material illustrating the unique political-philosophic project that preoccupied him for the last three decades of his life, it will serve as the focus of our inquiry here. The road that took Harry McShane to Marxist-Humanism began in 1953, the year he decided to leave the Communist Party (CP) after a 31-year membership in it. This was a truly momentous year, marked as it was by such historic events as the death of Stalin and the first mass revolt against Communism, the East German workers’ revolt of June 17, 1953. With characteristic modesty, in later years McShane refrained from linking his departure from the CP to such momentous events, though they may well have had an impact. His actual resignation from the Party was precipitated by what he viewed as its bureaucratic expulsion of a group of youth who questioned the Party’s political direction. Upon breaking from the CP, McShane decided to return to work at the Glasgow shipyards, even though he was already 63 (previous to this he had been Scottish editor of the Daily Worker and a full-time organizer). Far from ending his political actitivty, his break with the CP opened up a new life for him. He decided not to join any existing political organization, but instead search for a new philosophy and a new organization with which to guide his activities. He became involved in a number of efforts to develop a new pole of anti-Stalinist opposition, such as the journal Revolt (which he edited along with Eric Heffer) and later the mimeographed New Commune. These, however, proved to be short-lived. It was not until the late 1950s that he found what he was looking for when he came across a copy of Raya Dunayevskaya’s Marxism and Freedom, from 1776 until Today. It had a [p. 8] tremendous impact on him. As he wrote Dunayevskaya on June 17, 1961, “I have read nothing like it…I don’t know of anyone who has handled [Marx] in the way it is done in the book”. “When I left the CP I did not realize all the implicationsof that step. McShane’s embrace of the ideas contained in Marxism and Freedom involved more than adherence to a particular interpretation of Marx’s texts. It most of all involved him in an effort to return to Marx’s Humanism by working out a new relation of theory to practice. 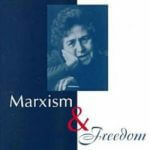 The need to work out a new relation of theory to practice was in fact a central theme of Marxism and Freedom. On the one hand, it showed that the experience of the Russian Revolution, which abolished private property but became transformed into a totalitarian society under Stalin, illuminated in a new way the importance of Marx’s emphasis on freeing the individual from the enslaving subordination to the division between mental and manual labour. At the same time, it singled out the quest for new human relations being voiced by such new revolts of 1956, the Montgomery Bus Boycotts in the U.S., and the wildcat strikes against automation where workers asked “what kind of labour should man perform?” The objective and subjective realities of the age of state-capitalism, characterized, on the one hand, by counter-revolution arising from within revolution and, on the other, by the emergence of “new passions and new forces” aiming to reconstruct society on humanist foundations, gave new urgency to raising and working out “what happens after” the revolution before the actual seizure of power. Marxism and Freedom thus projected the need to work out a new unity between theory and practice, worker and intellectual, philosophy and action so as to assure that the “all-rounded human personality fit for a variety of labours” emerges in the very struggle against capitalism. After some further back-and-forth, McShane drafts the Preface, at the end of 1960. As it turned out, his Preface was not to appear in print until 1971, as it took that long to secure a British edition of Marxism and Freedom. Yet one does not have to wait until then to witness the self-development that McShane experienced on account of his dialogue with Marxist-Humanism. The range of issues discussed between himself and Dunayevskaya in the 1960s include McShane’s investigations into Scottish labour history (especially concerning the Calton weavers’ revolt of 1787 and the contributions of Adam Ferguson to classical political economy); discussions on a host of issues within Marxist theory (especially the writings of the young Marx and the impact of Hegel’s dialectic on Marx’s Capital); and political reflections on an array of ongoing world events – from Mao’s China to events in Malaysia, Vietnam, and the Dominican Republic and from the Cuban Revolution to the East European revolts. Starting in 1962 McShane also began publishing The Scottish Marxist-Humanist from Glasgow; it contained reports of ongoing battles on the shop floor, analyses of developments in the various Left political parties, explorations of revolutionary history, and theoretical articles on Marx and Marxism. for its education classes from before the first world war until the late thirties. concentrates mainly on economics. This is what I think is wrong. McShane responded to Dunayevskaya’s critique by publishing a special issue of The Scottish Marxist-Humanist devoted to the subject; it included both Dunayevskaya’s letter to him on Enoch Powell and excerpts from American Civilization on Trial, a work mainly authored by Dunayevskaya which developed the concept of “Black Masses as Vanguard” directly on the connection between seemingly “abstract” questions of philosophy and concrete issues of social transformation. To Dunayevskaya the radical movement had made a grave error in considering Marxism to be simply a theory of class struggle, in that this tended to insensitize many activists to the struggles of non-proletarian forces, such as national minorities and women. Her own return to the philosophic roots of Marx’s thought revealed to her that Marx’s Marxism is a philosophy of liberation rooted in opposition (as Marx puts it in 1844) to all social relations in which “the human essence materializes itself in an inhuman manner in opposition to itself.” From the very birth of Marxist-Humanism, Dunayevskaya thus focused on the emergence of “new passions and new forces” in the freedom struggle – Blacks, women, youth, national minorities, rank-and-file workers opposing automation, etc. Viewing Marx’s Marxism as a philosophy of liberation as against a mere theory of class struggle thus impinges on one’s own comprehension of how deep must be the uprooting of class society and how broad must be the view of the forces of liberation. resisted the ideology of capitalism and intend to continue their efforts. An especially striking illustration of McShane’s effort to enter into such projection during this period is reflected in his participation in a major conference on the work of Adam Smith, which featured such figures as John Kenneth Galbraith, Arthur Burns, and Lord Boyle as speakers. In a letter of June 4, 1973, written prior to the event, McShane informs Dunayevskaya of his intent to take the floor at the Conference, even though he was not a scheduled speaker. “I want your advice, but I feel, at the moment that the philosophic basis of Marx’s criticism should be emphasized.” Dunayevskaya responds on May 7, 1973 with a lengthy letter on the impact of Smith’s work on the development of Hegel’s thought. more value than unskilled labour. He thought he was boosting Smith. In the late 1970s Dunayevskaya embarked on a new theoretic project, her work on the book that became (by 1982) Rosa Luxemburg, Women’s Liberation, and Marx’s Philosophy of Revolution. During this same period, McShane continued to be politically active, both in the Glasgow Trades Council and in speaking at a considerable number of marches, teach-ins, and rallies, even though he was now approaching 90. Though McShane’s letters to Dunayevskaya tend to be less lengthy and frequent in the last years of his life, the back-and-forth between them continues. Indeed, some of the most novel concepts developed by Dunayevskaya in the last decade of her life were first articulated in letters to McShane. 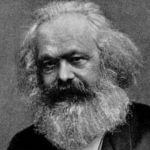 “Marx’s profound insight has nothing to do with anthropology or technology. Dunayevskaya was later to show that Engels’ failure to grasp the depth of Marx’s concept of revolution set the ground for all of post-Marx Marxism. 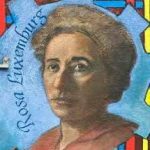 It led her, by 1982, to create a new category, “post-Marx Marxism, beginning with Engels, as pejorative,” in her Rosa Luxemburg, Women’s Liberation, and Marx’s Philosophy of Revolution. With the creation of that category, her projection of the need for a profound reorganization of thought and action in the radical movement only deepened. As she often noted, “we were all raised as Engelsians”; yet the realities of our age, she argued, signified that Marxism had a future only if it broke decisively from the Engelsian heritage. The fact that she repeatedly broached this challenge to Harry McShane, who by this time- was already in his 90s, says something about her confidence in the ability of masses of people to achieve this. In another letter (of December 10, 1978) he refers to an essay of Dunayevskaya’s contrasting Marx to Engels as “an amazing article which places me and many others, miles behind,” and reports sending a copy of it to Sheila Rowbotham. “It is often asked why some, including me, remained in the Communist Party so long. Though McShane was in declining health [he gives] views on a number of topics. The McShane-Dunayevskaya correspondence represents a rich point from which to view a unique effort to work out a revolutionary theory and practice. The effort to work out a new beginning certainly characterized McShane, as seen in his decision, following his break from the Communist Party, to “begin life anew” (at age 68!) by aligning himself with a new philosophy, Marxist-Humanism. And the effort to work a new beginning certainly characterized Dunayevskaya’s correspondence with McShane, as seen in her effort to break down the confining separation between worker and intellectual by developing an active interchange of views with him over the course of some three decades. As against the situation that the radical movement found itself in during the post-World War II period, their correspondence reflects an active effort to embark upon a new path by working out the integrality of a philosophy of liberation with revolutionary action. This hardly means that the new kind of relationship between theory and practice, worker and intellectual, and philosophy and organization which their correspondence reached to create achieved realization in the post-World War II era. Dunayevskaya’s ideas did not win wide acceptance in the Marxist movement during her lifetime, and McShane’s effort to create a Marxist-Humanist presence in Britain was accepted by a relatively small number of people. The spirit of their correspondence – an effort to create “the new kind of person” by breaking down the separation of mental and manual which Marx made central to his vision of the new society – certainly remained unfinished at the time of their respective deaths (Dunayevskaya died in 1987, McShane a year later). Yet the unfinished nature of the unique project they were part of hardly justifies ignoring McShane’s Marxist-Humanist dimension. If it is true, as one historian of the Scottish labour movement put it, that “nothing is ever lost” in the labour movement, even the most forgotten and “defeated,” insofar a contribution to liberation in one age can always speak to another generation, how much truer is this when it concerns something as critical as the working out of so new a relationship between worker and intellectual? Though the McShane-Dunayevskaya a dialogue on the dialectic ended in the 1980s, there is no reason it should come to an end for us. For in the years since their deaths, the need to work out a philosophic new beginning rooted in the ned kind of unity of theory and practice they struggled to make real has taken on the greatest of urgency. The long-overdue collapse of the state-capitalist regimes that called themselves Communist in Russia and East Europe has exposed the bankruptcy of reducing “socialism” to the mere nationalization of private property while leaving the fragmentation of the human personality intact. Far from being restricted to Russia or East Europe, the non-viability of any concept of socialism that stops short of the creation of new human relations has been made plainly evident on a world scale. Though many who yesterday clung to a truncated Marxism conclude from this that “Marxism is dead” today, the real question is whether the radical movement can work out a philosophic new beginning on the basis of the transcendence of the legacy of “post-Marx Marxism as pejorative.” Precisely because of the three-decade long correspondence between Dunayevskaya and McShane was part of a struggle [to] achieve such a transcendence, it speaks volumes to the whole question of “how to begin anew” today. “I floundered about until I was in touch with Raya and Marxism and Freedom. It is remarkable indeed to encounter someone who at the age 68 decides, after reading Marxism and Freedom, to break from what he knew to be “Marxism” and become a participant in working out a new philosophic beginning. In the years that followed Marxism and Freedom, Dunayevskaya’s development of the body of ideas of Marxist-Humanism grew massively in scope and depth. Now that this too can be studied in full, the door is open for a new generation to work out their own dialogue on the dialectic. If it leads us to working out a new philosophic beginning, on the level of the realities of our age, of the kind which Harry McShane reached for upon discovering Marxism and Freedom in the late 1950s, we will have done much to live up to the legacy he bequeathed to us. The availability of “The Harry McShane Collection” thus provides an important vantage point from which to view a unique effort to break from attitudes which take the separation of mental and manual, theory and practice, worker and intellectual as given. At a moment when powerful ideological forces are using the much heralded “death of Marxism” to convince all that the status quo represents humanity’s future, the record of Harry McShane’s lifelong new, human society that would end the separation between mental and manual labour becomes all the more compelling. Raya Dunayevskaya, Marxism and Freedom, from 1776 until Today (New York: Columbia University Press, 1988), p. 17. This fourth expanded edition of the book contains as a new Introduction Dunayevskaya’s overview of Marxist-Humanism, entitled “Dialectics of Revolution: American Roots and Marx’s World Humanist Concepts”. Copies of Revolt and The New Commune can also be found in “The Harry McShane Collection” at the National Labour Museum in Manchester. Karl Marx, “Critique of the Hegelian Dialectic and Philosophy as a Whole” in Economic and Philosophic Manuscripts of 1844, in Karl Marx, Collected Works, Vol. III (New York: International Press, 1975), p. 336. Dunayevskaya published the first English translation of this essay as appendix A to the 1958 edition of Marxism and Freedom. This undated letter was written by Dunayevskaya sometime in December, 1960. “The Harry McShane Collection” contains 190 letters exchanged between Dunayevskaya and McShane; a smaller number of letters, which deal mainly with routine organizational matters, have not been deposited in the Collection. Raya Dunayevskaya, Philosophy and Revolution: from Hegel to Sartre and from Marx to Mao (New York, Columbia University Press, 1989). For the decade-long process of philosophic development that let to Philosophy and Revolution, see the supplementary vol. 14 to The Raya Dunayevskaya Collection – Marxist-Humanism: a Half Century of its World Development, available on microfilm from Wayne State University Archives of Labour and Urban Affairs, Detroit Michigan. The documents covering the development of Philosophy and Revolution amount to about 2,000 pages. The phrase “picking up theory en route” was popularized by Daniel Cohn-Bendit, a leader of the French student movement of 1968, in his Obsolete Communism: The Left-Wing Alternative (New York: McGraw Hill, 1968). See American Civilization on Trial: Black Masses as Vanguard, a Statement of the National Editorial Board, News and Letters Committees (Detroit: News and Letters, 1983). Karl Marx, “Critique of Hegel’s Dialectic and Philosophy as a Whole,” op cit., p. 331. This statement was made in a Presentation by Dunayevskaya to the Resident Editorial Board of News and Letters Committees on February 13, 1973. McShane was responding to the minutes of the Presentation. See “Philosophy and Revolution as Organization Builder,” in The Raya Dunayevskaya Collection, Vol. 7, microfilm no. 4982. Dunayevskaya considered the concept “Absolute Idea as New Beginning,” which serves as the subject matter of chapter 1 of Philosophy and Revolution, to be her unique contribution to Marxism. For a further elaboration of this concept, see Raya Dunayevskaya, “Hegel’s Absolutes as New Beginning,” in Art and Logic in Hegel’s Philosophy, ed. by Warren E. Steinkraus and Kenneth L. Schmitz (Sussex: Harvester Press, 1980), pp 163-78. The “untrodden path of dialectics of organization and philosophy” is discussed by Dunayevskaya in her “Presentation on the Dialectics of Organization and Philosophy” of June 1, 1987, in The Philosophic Moment of Marxist-Humanism: Two Historic-Philosophic Writings by Raya Dunayevskaya (Chicago: News and Letters, 1989). This book also contains her “Letters on Hegel’s Absolutes” of May, 1953, which marked the philosophic birth or her philosophy of Marxist-Humanism. Dunayevskaya died before completing “Dialectics of Organization and Philosophy: The ‘Party’ and Organization Born out of Spontaneity.” However, her voluminous notes and writings for the book have been preserved and can be found in Supplement to the Raya Dunayevskaya Collection, Vol. 13. This statement is from one of her notes for her planned book on “Dialectics of Organization and Philosophy”. See “Another Talking to Myself, this time on what has happened since ‘Not by Practice Alone,’ 1984-87” in Supplement to the Raya Dunayevskaya Collection, Vol. 13, microfilm #10955. This refers to Dunayevskaya’s critique of McShane’s use of Lenin’s phrase “the three component parts of Marxism” as being English political economy, French utopian socialism, and Hegelian dialectics. In a letter to him of April 15, 1971, she argues that “the dialectic proper” was of such paramount importance to Marx that it cannot be reduced to but one of three influences. Dunayevskaya’s work has begun to receive increased attention in the 1980s and 1990s. See especially Adrienne Rich’s Foreward to the 1991 edition of Rosa Luxemburg, Women’s Liberation and Marx’s Philosophy of Revolution and Margaret Randall’s Gathering Rage: The Failure of 20th Century Revolutions to Develop a Feminist Agenda (New York: Monthly Review Press, 1992). See also the recently published The Marxist-Humanist Theory of State-Capitalism: Selected Writings by Raya Dunayevskaya (Chicago: News and Letters, 1992). James D. Young, John MacLean, Clydeside Socialist (Glasgow: Clydeside Press, 1992), p. 7. See The Raya Dunayevskaya Collection – Marxist-Humanism: A Half Century of its World Development as well as the Supplement to the Raya Dunayevskaya Collection, vols. 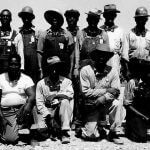 13 and 14, both available from Wayne State University Archives of Labour and Urban Affairs, Detroit Michigan. Readers of Peter Hudis’s piece may be interested in the following. I have transcribed from microfiche some of the archived documents relating to Raya Dunayevskaya’s first encounter with Harry McShane during her trip to Europe, following the publication of ‘Marxism and Freedom’ in the US in 1959. * She arrived in Britain days after the October 1959 General Election, which returned Harold Macmillan’s Tory government to power with a near-landslide victory over Hugh Gaitskell’s Labour Party. * Raya Dunayevskaya Archive at Wayne State University, pps. 9433-37. https://rayadunayevskaya.org/ArchivePDFs/9433.pdf.9433-9437).